A Diamond Select Release! Holy collectibles, Batman! DST continues their line of busts based on the Batman Classic TV Show, and this time they're making the ultimate wingman! 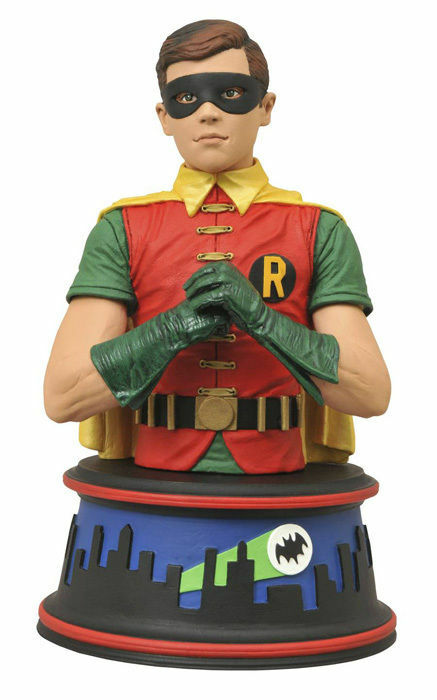 Batman's sidekick Robin, the Boy Wonder (as played by Burt Ward) is the next 6' resin bust in the new series from DST, and is the perfect companion to Adam West's Batman. Batman's gonna need all the help he can get once the villains start to arrive! Designed by Barry Bradfield! Sculpted by Jean St. Jean!